Whether you wish to permanently reduce body hair with our laser treatments, or discuss with one of our experts how to minimise lines and wrinkles, we’ll provide you with all the information and tailored advice you need to make an informed decision. Smoother skin or a firmer figure doesn’t always require you to go under the knife. Our highly trained therapists have vast experience and are fully qualified, ensuring their primary concern is your satisfaction and safety. We only use prescribing medical professionals to administer injectables. When you visit O Spa expect the highest level of care possible in a relaxed and luxurious environment. We only offer the best treatments and techniques available, which you'll find below. This brand new facial uses a unique serum containing 3 powerful anti-ageing peptides (Matrixyl 3000,Trilyagen and Matrixyl Synthe6) which have been clinically proven to help regenerate the skin, boost collagen and elastin production and improve moisture levels. 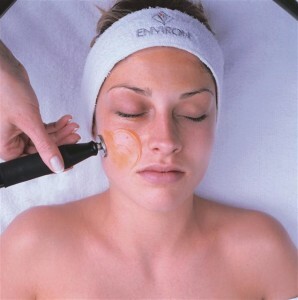 The treatment uses gentle soundwaves to drive the special nutrient packed serum deep into the lower layers of the skin. The unique combination of three peptide complexes work in synergy to give skin a plumper, more radiant appearance. Packed with anti-ageing ingredients, the ionzyme treatment will leave your skin looking radiant and dewy. Active nutrients are driven deep into the skin using soundwaves and gentle electrical pulses to stimulate collagen, soften lines and boost elasticity. This highly-effective treatment uses a special serum to target frown lines and achieves dramatic results similar to those achieved with injectable toxins, without the associated risks. Collagen Stimulation Therapy (CST), a form of needling, is a cutting-edge treatment that harnesses your body's natural powers of healing to tighten skin and achieve incredible results. It's especially effective for addressing the visible signs of ageing, as well as sun damage, scarring, slackened skin, stretch marks, uneven skin tone and dilated blood vessels. CST can be carried out on all areas of the face and body, and is suitable for all skin types. Each client has their own treatment roller that is sterilised after treatment and for their use only. Take your skin to bootcamp! Get tough with your skin and book the O Spa NEW Bootcamp facial! This intensive, individually tailored programme is delivered in 3 phases to achieve optimum results in a short period of time. Target driven, the programme combines the best of technology and cosmeceutical treatment, and is delivered over a 7 - 10 day period. It will include a combination of microdermabrasion, IPL facial rejuvenation, and Environ Ionzyme Active Vitamin facial, one to two treatment per week depending on your skin needs. All for just £155! (RRP£255) A saving of £100! This treatment utilises the full potential of the machine, combining all seven phases. This amazing facial stimulates the production of collagen and elastin, softening deep lines and wrinkles for the ultimate anti-ageing facial. *Courses of treatment must be completed within a six month period. Often quoted as the nation's favourite anti-ageing treatment, it gently lifts, tightens and tones the facial muscles whilst smoothing the appearance of fine lines and wrinkles. This is a relaxing treatment with impressive and dramatic results. A crystal free treatment that uses orbital microdermabrasion with vibration, to gently remove the outermost layer of the skin. Unlike crystal machines, it allows complete control of the depth and speed of the treatment allowing adjustment to different areas of the skin. Treatment can be varied to suit sensitivity. After cleanse and tone, the microdermabrasion is carried out followed by LED photo rejuvenation to stimulate the production of collagen and elastin. Dull skin appears immediately fresher. Can be combined with the Hydratone Mask for a more complete treatment. Perfect for overpartied eyes, lifts, smoothes and plumps for a brighter appearance. Uses electrical and light stimulation to naturally increase collagen and elastin production. Infused with powerful ingredients, micro rollers increase penetration. The CACI Jowl Lift Facial has been developed to specifically tone and firm the jawline. New Quad Probe appllicators are used, which are designed to double the lifting action of the CACI treatment system. IPL works to reduce unwanted hair with maximum results. It destroys the follicle of the hair that enables it to grow again. The IPL system has an even greater effect when applied at the growing stage of the hairs and therefore for optimum results a course of treatment is recommended. Larger areas such as extended bikini or back upon quotation. A full consultation and patch test is required prior to any IPL treatment. A charge of £15 is made, which is refundable against any IPL treatment. For vascular / pigmentation treatment, the IPL offers a new way to treat thread veins which is entirely safe and non invasive. Broken capillaries, spider nevus and clusters of blood vessels near the skin surface can be treated. All other areas, price upon quotation. For skin rejuvenation IPL works to achieve a much younger looking skin. It's the ultimate anti-ageing treatment, as it helps to speed up the body's own natural collagen. IPL photo rejuvenation also treats sun-damaged skin and acne, as well as improving the overall tone and elasticity of the skin. Are you struggling with areas of stubborn fat and unsightly cellulite? At last there is help. Endermologie is a patented, scientifically proven technique favoured all over the world by people wishing to improve the appearance of their face and body in a totally natural way, without the use of surgery, electrical currents, injections or chemicals. The use of wrinkle relaxing injections can dramatically reduce wrinkles around the frown lines (between the eyebrows), crow's feet (around the eyes) and smoker's lines (around the mouth). This treatment is effective with a safety record spanning 20 years. Fillers can be helpful for wrinkles and creases in the lower half of the face, particularly the crease running down from each side of the nose to the corners of the mouth. They are a safe, non-surgical and effective method of lifting, rejuvenating and shaping the face. If you dream about wearing makeup that will stay put, whatever the weather, find cosmetics too fiddly and time consuming or have brows that are too thin, Semi-Permanent Make-up is set to transform your life. It will last for months, won’t wipe off, and you will look beautiful bare faced from first thing in the morning to last thing at night ! We offer No Fee No Obligation skin consultations for clients seeking to improve their skin condition. Your consutlation will be with one of our highly qualified skin therapists, who will guide you through the whole process and answer any questions you may have. We will also review your current skin care regime, your concerns and the goals you want to achieve. This will help us to understand you and your skin conditions, so that personalised advice can be given accordingly: from home care products, salon skin care treatment programmes to lifestyle advices. We are here to help you achieve your goal. world-renowned plastic surgeon, the range contains a unique combination of active ingredients to protect and nourish.